Hey there everyone!!! It's been long since I've reviewed a product. Today I will be sharing you guys a organic body spray that will keep yourself free from harmful bacteria!!! "Our skin is the largest organ of our body. Hence, it presents the most exposure to germs around us. It is therefore important for us to use safe products that protect not only our skin but also our overall health. With increasing concern over harmful bacteria and viruses, the purchase and use of sanitizers are more prevalent than ever before. The current consumer market is flooded with products claiming to keep consumers safe from harmful microbes. Unfortunately, while these products do hold anti-microbial properties, they also contain ingredients that are detrimental to the safety and health of not only consumers and their families, but also the environment. Bio Shield is an organic body protectant designed to maintain and enhance the skin’s immune functions. Components that make up the protectant include complex Bioflavonoids, Ubiquinol, MenaQ7 and Lipowheat. 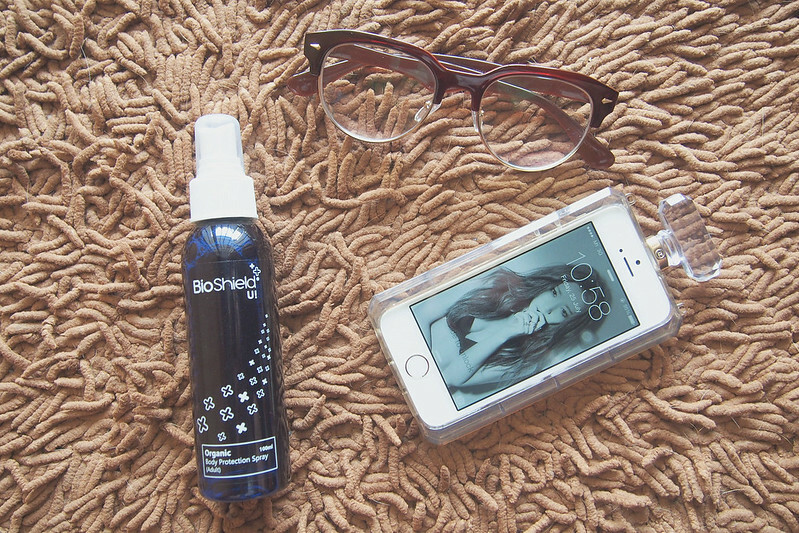 Since its launch in 2010, Bio Shield remains the top body protectant of choice for adults, children and babies. It was originally designed for the US Military and subsequently the sports industry in the United States. Found its way to the general public to provide additional protection to us in today’s harsh environment. The formulation is certified organic by ECOCERT and NOP/USDA. It is also REACH compliance." 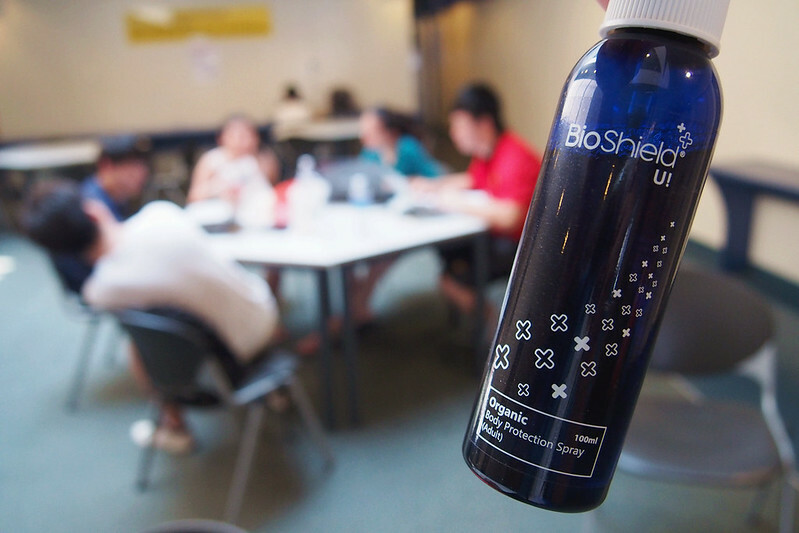 You must be wondering what is Bio Shield? Why haven't I heard about it?? Well, because it's new in the market, and with so many people falling sick nowadays, that's when Bio Shield will come into good use! Nuff said and let's move on to the main point, so I was given one of the Bio Shield product to try and I would say I love the fact that it's fragrance free and it does not feel sticky at all when I sprayed it on my skin. Nowadays I would stay at school till late because of my project submissions (which is coming really really soon) and also to prep myself for upcoming presentations as well. And because of that, I get myself exposed to harmful bacteria, chemicals, and parasites. But with Bio Shield U, I can protect myself from all these until I reach home at night and take a goooood long shower!!! Hahaha! Good news for you guys, upon checkout, simply key in "201406-TIN.Bloggers" and you'll be entitled to a 5% discount!!! You can check out more of the products at www.AllThingsOrganic.com.sg or BioShield’s FaceBook page at https://www.facebook.com/BioShieldSingapore.